﻿ R-Con Hotel @ Siam, Pattaya | FROM $22 - SAVE ON AGODA! "The rooms are Modern and very spacious." Have a question for R-Con Hotel @ Siam? "I am very happy because the hotel is very good"
"Overall still pleasant for a short trip." 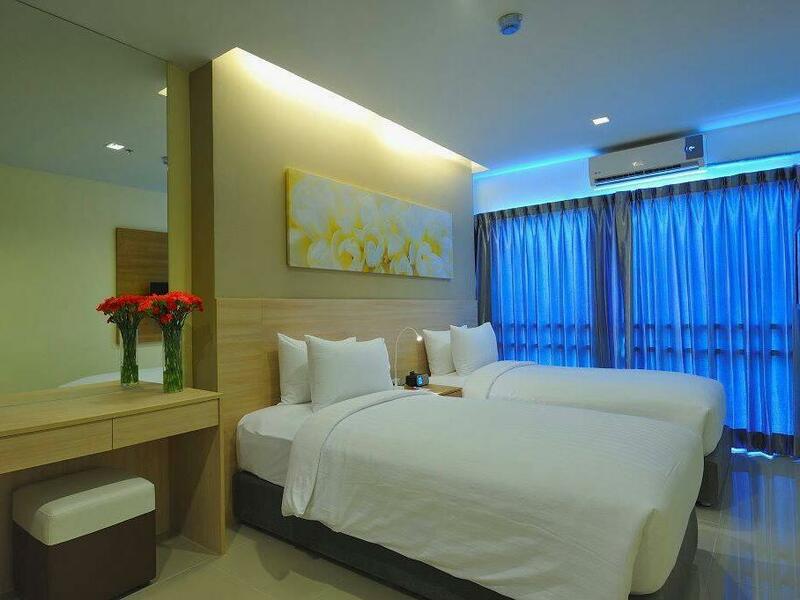 "Clean large room, safe, wonderful staff"
Book a stay at the R-Con Hotel @ Siam in Pattaya for a memorable vacation. The rooms at this hotel overlook the city, so you can enjoy falling asleep with the beautiful, shimmering city lights. 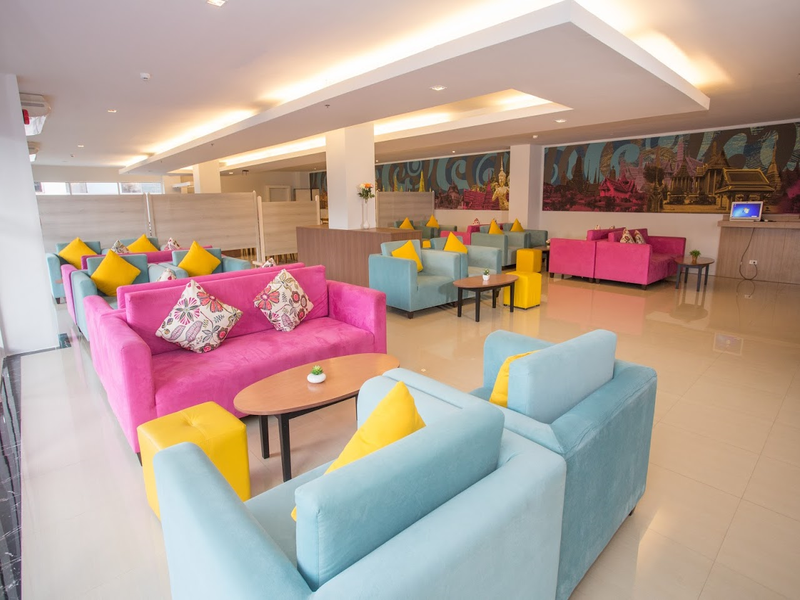 This Pattaya hotel is close to Zara's Custom Tailor, Ama Fashion, Pattaya Klang Market, Driving School Centre, and Central Festival Pattaya Beach. It has various convenient features, such as safety deposit boxes and a smoking area. 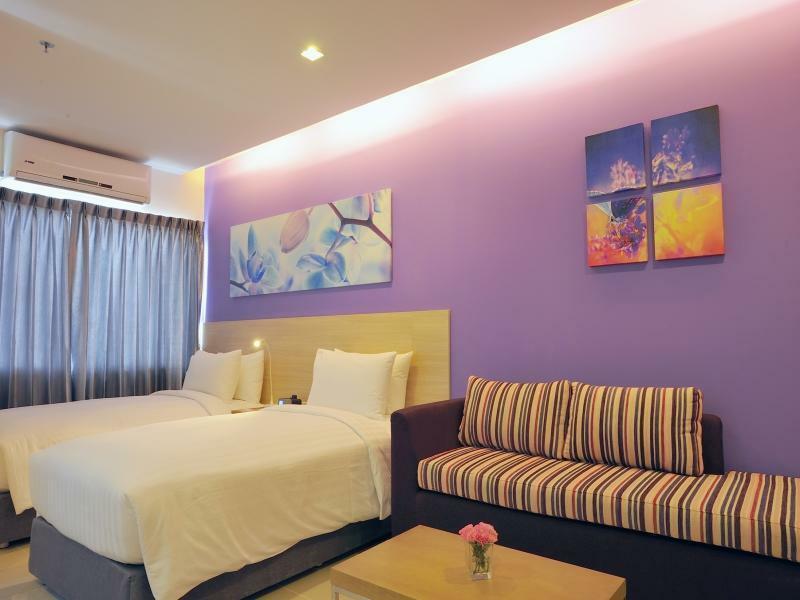 The R-Con Hotel @ Siam offers family rooms, so you can relax and hang out with your whole family. Featuring a fitness center, a spa, and an outdoor swimming pool, it has everything you will need to make your time away as comfortable as can be. It has room service, so you can order your much-needed morning tea or coffee straight to your bed. 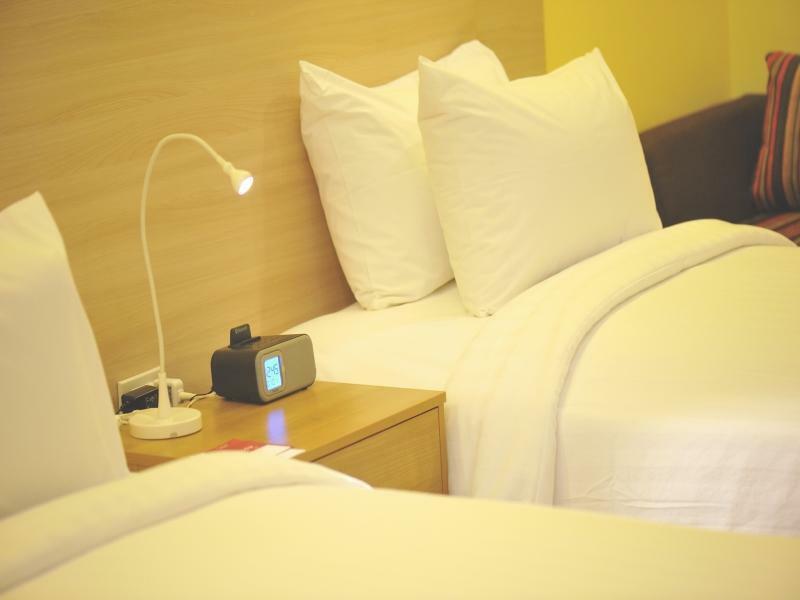 The R-Con Hotel @ Siam offers a range of useful services, such as daily housekeeping, a concierge, and laundry services. There's free Wi-Fi available in all rooms, as well as Wi-Fi in common areas, so visitors won't have to spend money on buying a local sim card. All of the rooms come with air conditioning, an in-room safe box, a seating area, and a shower, as well as a coffee or tea maker, an ipod docking station, a sofa, a desk, and other amenities. With pet-friendly facilities, the hotel is suitable for guests who can't bear to be away from their pets. The front desk is open at all hours, so there is always someone on call to answer any questions. Bus Terminal is 2.5 km away and Pattaya Railway Station is 2.7 km away. The nearest airports are Utapao International Airport (UTP) and Suvarnabhumi International Airport (BKK), which are situated 30.1 km and 85.5 km away. The R-Con Hotel @ Siam offers a 24-hour check in and check out service, enabling you to arrive at whatever time is most convenient for you. "We always enjoy staying at the Siam R-Con." Getting a bit tired due to lack of maintenance, very noisy Aircon. Ridiculous very uninviting swimming pool at the back by car parking, but hey for just a bit of exercise guess it's ok.. Has a gym with ancient kit screened off from rest of lobby. BUT you're paying a low price for adequate and large rooms, with huge bed ( two singles pushed together) short way down a dead end soi. Some items in the room were damaged, but useable so I let reception know right at the start. No breakfast available but plenty of options and all the action just back up the soi. So still good value for money and excellent location for all that Pattaya has to offer. No charge for additional overnight " guests", even more than 1! Stayed here many times. Good value, though forget the swimming pool which is round the back. Pool is clean but small and its surrounding area is bleak! Bathroom adequate. Bed is two singles pushed together with 2 mattresses. I understand this makes it more flexible to configure but the split down the middle is annoying. No food here, but a short walk back up the soi to soi buakhao and everything is there. Front rooms quiet, back rooms slightly less so due to nearby market. It was Christmas and the first time I found it full and unable to extend my stay. A little bit far from central district but still within walking distand as the town wasn't very huge. Absolutely value for money based on room size and location even the hotel condition wasn't very well maintained. Overall still pleasant for a short trip. Big hotel near market and central festival. Big room was clean and good shower.ok for a night or two.just a rooms hotel basically nothing more.long term residents stay also. Very handy fir Soi Baukhow area. Quiet enough room from minimal traffic. Lift out of order on one occasion but fixed quickly. Kettle lid broken. No tea or coffee left in room. Double bed was 2 singles pushed together. Not enough handy plug sockets Internet was pretty good. Staff friendly. Taxi to airport arranged for only 1000 baht. Tried two different rooms. Ac did work but was really loud. Broken handrail on balcony. Staff didnt care about anything, all the keys laying in a basket or around the frontdesk. Feel free to grab just anyone, because at some points staff didnt even bothered getting up from the sofas. Dirty and run down place. Even had mold in the plastic cups in bathroom. Housekeeping left plenty of their hair every day when cleaning the room. The owner really needs to spend some money on the rooms, and probably try to get new management. this place is hidden at the end of a quiet alley in the nosiest Soi Buakhao. The choice of food, shopping, bars and girls is definitely going to spoil anyone who wants to be in the middle of all the action. We always enjoy staying at the Siam R-Con. However as good as it is generally. The Aircon units are becoming worn out. We stayed in 2 room during our visit and the units obviously had not been cleaned or serviced in months if not years. I hope the management taked notice as it is the hotels only downfall in my opinion. Centrally located on Soi Buakhao (in side soi 30 meters from Buakhao), the rooms are large with a small balcony, kettle and free bottles of water, aircon works great but the wifi was very slow. 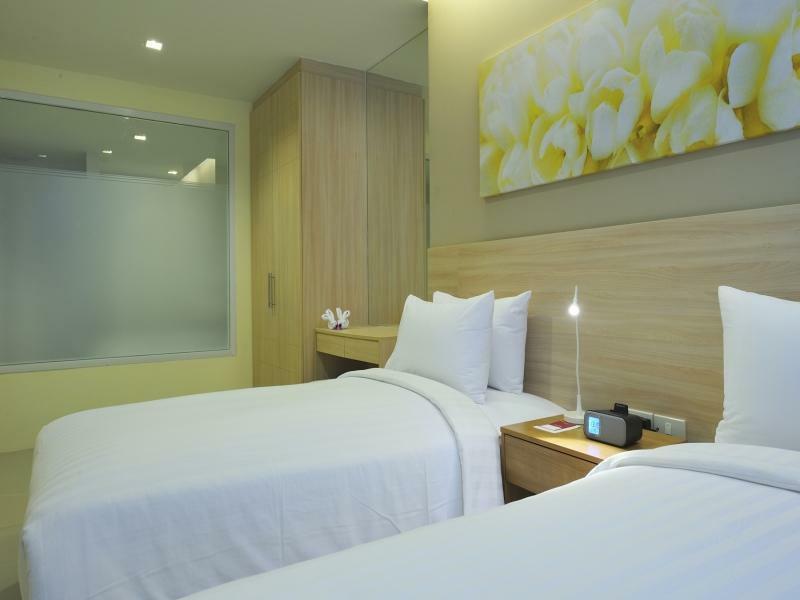 The staff are great, the walls are a little thin but for the price, I really cant complain as I had a good nights sleep and its about a 7-8 minute walk to Central Mall. Have stayed before, nice big rooms with small balcony, centrally located in a side Soi, 30 meters from Soi Buakhao across from the R-Con residence, free water and kettle but no coffee or tea, a little far from Walking Street but easy to get around with baht bus, about 7-8 minute walk from the main mall, checkin was quick, no real complaints, great budget hotel, internet slow but hot water and aircon worked great, will be back. This is not a 3, 2.5 or even a 2 star hotel. Don't bother, for the money you can get something much better. I stayed in this room for 2 hours before checking out, because the bed and pillows looked disgusting, the balcony handrails were loose, and the safety deposit box was not bolted in(you could just pick up the whole box and its contents and walk out with it). This place needs a bulldozer. Efficient and friendly staff all round large rooms with 2 single king beds pushed together. My bed was a bit saged but they had a thick mattress topper to compensate. Overall the rooms are good . The con a lot of young eastern European men drinking outside on the front entrance stairs in the evening like it was a Pattaya 7/11. Across our hallway 2 old Europian men with the door open drinking and smoking filling the whole floor and our room up with ciggerett smoke. other small instances has made me think they're long term renters and have turned the place into a bit of a ghetto . The rooms are Modern and very spacious. I mean Very Spacious ;). Great location near to many activities you can take a TukTuk to walking street for 10 Baht. Please visit 808 Club on Walking Street it is Amazing. Only negative, the room are not sound proof so be aware of noisy neighbors :). Overall I will definitely stay here again. This was the 5th hotel I stayed in, I did a lot of moving around because the photographs of the rooms never matched up with the actual rooms. I booked for 3 days initially and ended up staying the rest of my holiday about 25 days in total. It could have done with a better gym and the wifi isn't very good, but all in the location is very good and the rooms are clean. Close to night life, lk metro. good cheap transportation to walking street. Nice soft beds & shower. Friendly staff. I have stayed here before & I'm sure I'll stay here again. Thanks to the staff.